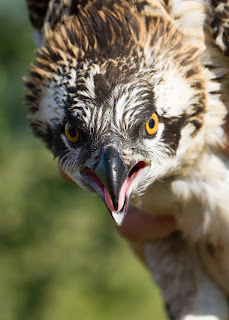 MONTGOMERYSHIRE BIRDS: Blink and you'll miss it! 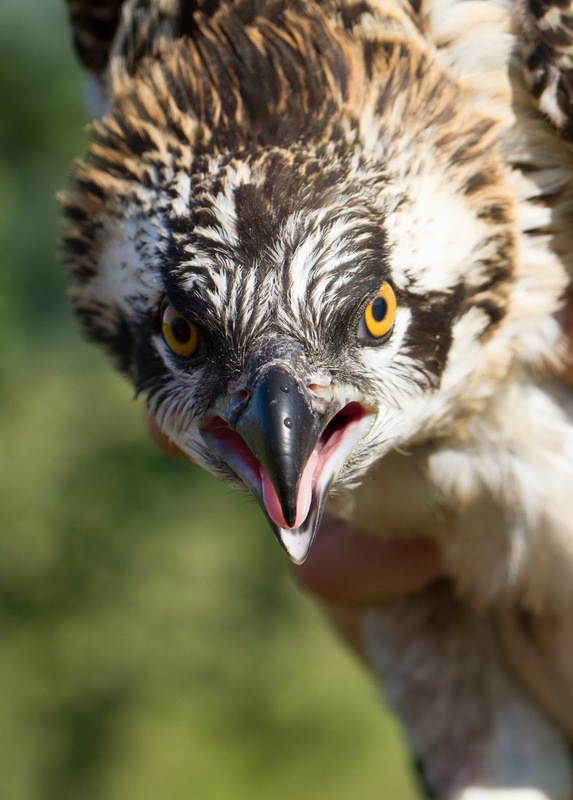 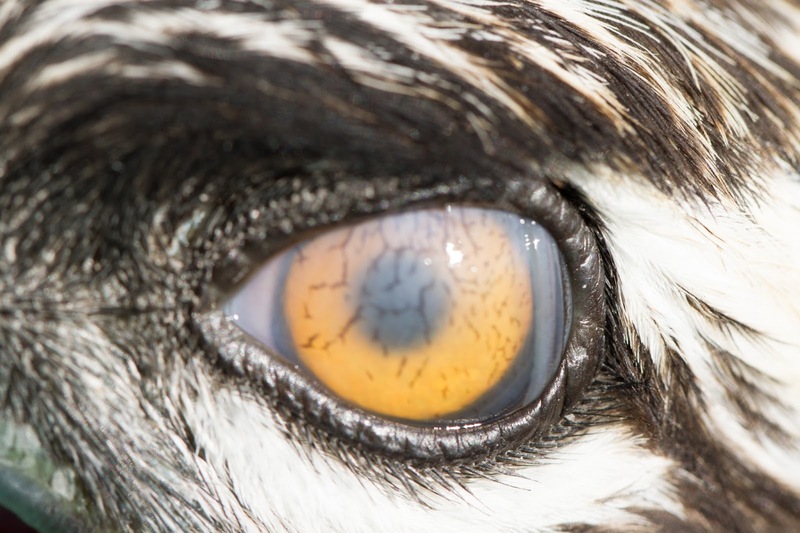 I was lucky enough to be part of the team which ringed the three Osprey chicks at Cors Dyfi on Friday. 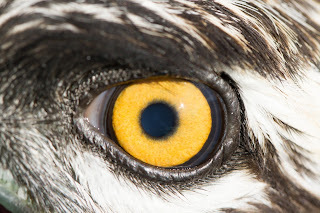 I decided to use a macro lens and these shots of the birds eye are interesting in that the bird blinked at the sound of the shutter, and the second shot shows its nictitating membrane, complete with venules.